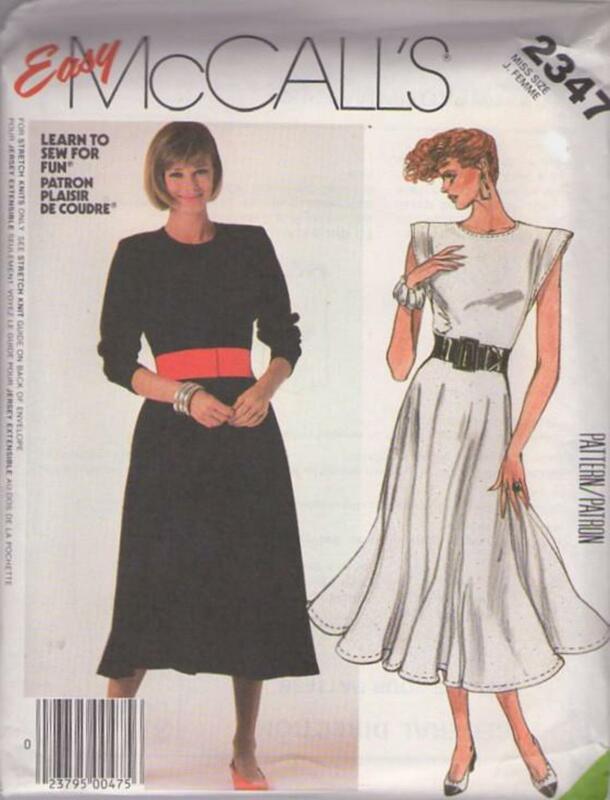 1986, 80s Beginners, Retro Office Clothing Patterns - MISSES' DRESS - FOR STRETCH KNITS ONLY: Back zippered dress has jewel neckline, shoulder pads and full circle skirt with side seam pockets. View A has full-length sleeves with deep armholes. View B has self-faced cap sleeves and underarm insets. Top-stitch trim and machine-stitched hems.